Quality, fast and affordable diesel fuel injection repair for the industrial, marine and trucking industries since 1969. At Jefferson Diesel Specialist, Inc. our trained technicians calibrate and test each fuel injection pump on the very latest state-of-the-art equipment. 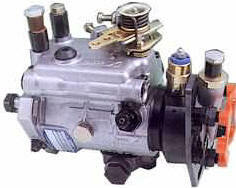 We service all makes and models of fuel injection pumps and injectors including Bosch, Standadyne, Lucas/Delphi, Zexel, Nippendenso, Detroit Diesel, Catapillar and more. We offer exchange pumps and injectors as well as complete remanufacturing of every type of diesel fuel injection system.